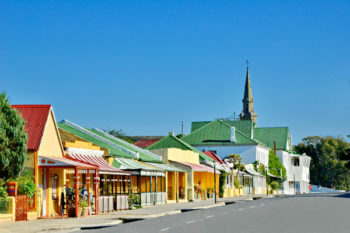 The town of Cradock, situated alongside the Great Fish River, springs up like an oasis out of the arid Karoo landscape. 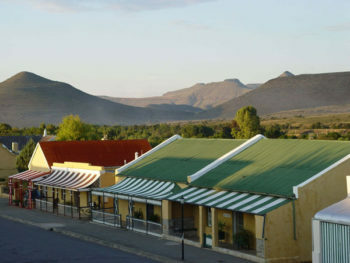 The centre of the local sheep farming community, it has become known for its iconic Karoo Lamb, certified as a regional food of origin. 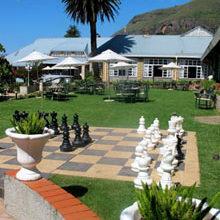 At the town’s grand Victorian Manor hotel you’ll be spoilt with plush accommodation, as well as an evening feast centred on this proudly South African delicacy. 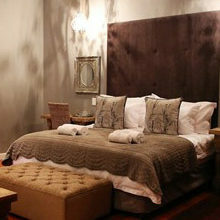 Check in: A sink-into-me double bed topped with soft pillows awaits you upstairs in one of the 16 spacious en-suites. 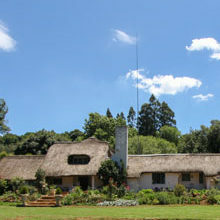 Alternatively, you can choose to stay in one of the hotel’s Tuishuise – 30 lovingly-restored settlers’ cottages lining Market Street leading up to the manor. 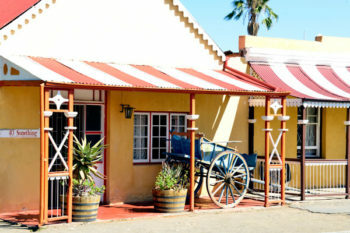 Dating back to the 1840s, these quaint tin-roofed abodes feature period-precise decor with items painstakingly curated from antique shops around the Eastern Cape. 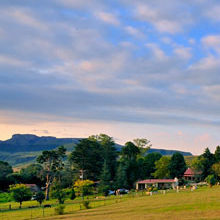 Each has its own kitchen, lounge and bathroom and includes between one and four bedrooms – perfect for couples, families or groups of friends. And with well-behaved pets welcome, there’s no need to leave anyone behind. 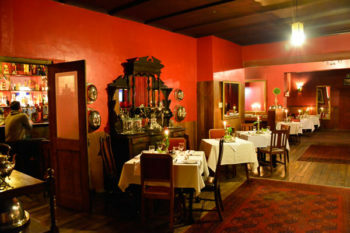 Taste: After pre-dinner sherries in the lounge, sit down at one of the dining room’s elegantly set tables to begin an indulgent evening sampling traditional Karoo cuisine. 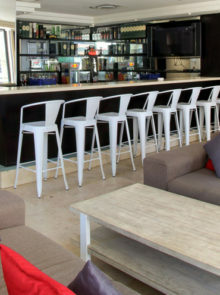 The daily-changing buffet epitomises good old-fashioned home-style cooking. Dishes of roast legs of lamb, lamb pie, lamb casserole and a medley of vegetable sides, like lemon and oregano potatoes and pumpkin fritters, are generously laid out. 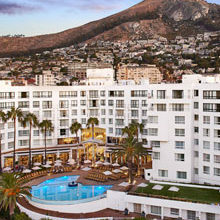 For dessert, you’ll be spoilt for choice with South African favourites like brandy pudding and apple pie.